We provide medical care, and acute and sub-acute rehabilitation treatment for people with a wide range of disabilities caused by disease or injuries. These include spinal cord injuries, traumatic brain injuries, strokes, neurological disorders, orthopaedic conditions and other debilitating conditions and illnesses. We help people who have become physically or cognitively impaired with the means to lead meaningful lives, regardless of any disability they may have acquired or circumstances they are returning to. We provide care and treatment to people with psychiatric and psychological challenges, and are devoted to making it possible for people to be happy and fulfilled. Nurture Health offers holistic therapy for substance abuse, with an aim to rebuilding the lives of people suffering from the chronic and progressive addiction. Nurture Health Recovery Facilities treat alcoholism and addiction to heroin, cocaine, ecstasy, marijuana, and prescription drugs as well as co-dependence, sexual addiction, gambling addiction and food addiction. We do not judge and don’t blame; we lend a hand to empower you to recover and regain the ability to be healthy and fulfilled. We make it possible for people to live meaningful and fulfilled lives despite physical and mental handicaps, injuries, disabilities or illness. We manage the impact of illnesses or injuries on patients and their families through coordinated, complex care, in a person-centric way and with interdisciplinary teams – in the acute setting post-acute setting (physical rehabilitation) and along the whole post-acute continuum of care. “Alternative care”: Medical or post-surgical care that would normally or often be done in an acute general hospital, but can be done better by patient centred, coordinated teams. But that is only a small part of the story. Like all good hospitals, we have many skilled and experienced healthcare specialists and other support staff working together. Our hospitals are like orchestras where the players are the therapists who provide therapy, the doctors who do the doctoring, the nurses who nurse and so on. But the magic of an orchestra only happens when all the musicians play together and in harmony. And that’s what we do at Nurture. We plan together until we agree on what we want to do, and then we do it in harmony. Together and harmoniously we “make music” for our patients so that they regain as much as is possible of their lives and of their ability to do what matters to them and to their families. We are driven by the conviction that the best outcome is about clearly understanding the needs and wishes of our patients and then to make sure that all our people, with their equipment and with the systems that they use, work in harmony to serve those needs and wishes. We understand what matters to our patients and their families; to work with them on a plan for how we can assist them to regain the life they can; and then to make it happen in a way that makes sense for them. We are very proud of the carefully chosen people in our organisation and the work they do. We are never satisfied with “good enough”. We do what has been proven to make scientific sense and is supported by research. We learn all the time and we relentlessly pursue the best for our patients and their families. 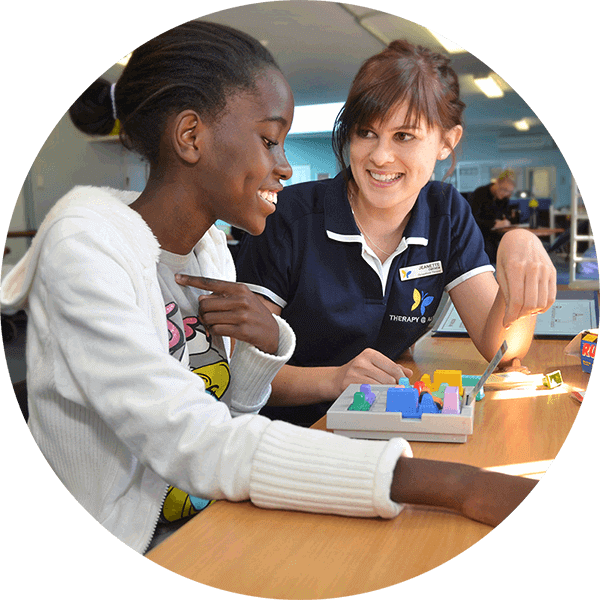 The care of our patients is organised around small teams consisting of therapists, counsellors, doctors and nurses. Every patient has his or her assigned care team. These teams are coordinated by Rehabilitation Programme Managers who are senior and experienced clinicians who understand what matters, and whose aim it is to ensure a smooth journey for our patients. The Rehabilitation Programme Managers also link families with the core teams and other hospital people. And, of course, they answer the many questions from families and patients. We would like to introduce all our people to you, but as we have more than 1000 people working at our hospitals, that is difficult. Although we have some seriously well qualified, experienced and skilled clinical people, the success of care at Nurture hospitals depend on all of our people – maintenance people, cleaners, catering people, carers, laundry staff, administrators, and other. All of them devoted to making our hospitals good places for our patients. We choose our people carefully. Only those with compassion in their veins, a “Nurture Personality”, and the best skills, become part of our organisation. We are proud of all of them.